High-powered antioxidant fruit blends and anti-aging peptides provide new ways to quench the skin’s need for protection and free radical fighting power. 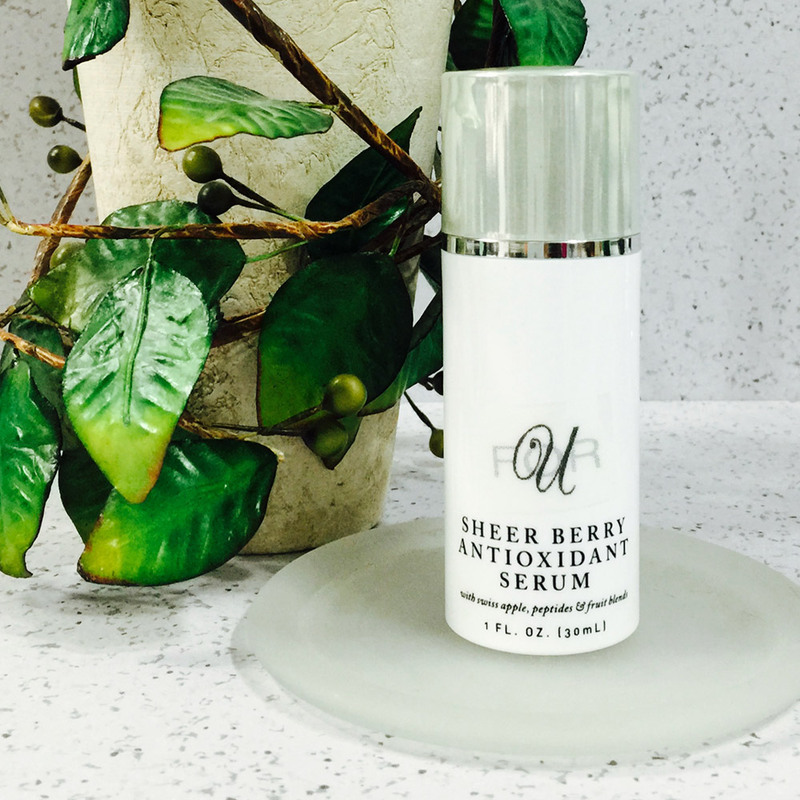 An orange / beige lightweight serum with a natural scent of berries. This formula can be used with your existing product regimen in the AM and / or PM. For DAYTIME use, apply to cleansed skin before moisturizer or sunscreen. During the day your exposure to free radicals is higher. For NIGHTTIME use, apply serum before moisturizer. Swiss Apple Stem Cell (Malus Domestica Fruit Cell Culture Extract) - This interesting ingredient is derived from a rare Swiss apple known for its longevity properties. Swiss researchers set to work and found that the answer mostly lay in the apple’s stem cell, which promote the skin stem cells from aging. This is a fairly new ingredient but has really shown amazing results in needy skin lacking in collagen, elastin (good skin structure and firmness) and visually dull skin types. Resveratrol - Powerful antioxidant, high in proanthocyanidins, a superior group of bioflavonoids that are water soluble and easily assimilated by the body. A free radical scavenger, it prevents skin damage caused by sun exposure and pollution. Palmitoyl Tripeptide-3 - Advanced peptide, a newer Peptide on the market, clinically tested to improve fine lines and wrinkles; has skin firming and moisturizing properties. Increases Collagen synthesis. Theobroma Cacao Seed - High in polyphenols (natural anti-oxidant). Vitis Vinifera Fruit Extract - High-ranking Polyphenols. Coffea Arabica Extract - High-ranking Polyphenols. Camellia Sinensis Leaf Extract - anti-inflammatory. Gellidiela Acerosa Extract - Algae Extract with beneficial enzymes & minerals. Garcinia Mangostana Peel Extract – anti-inflammatory fruit, high in xanthone anti-oxidants. Elettaria Cardamomum Seed extract - ginger family. Please note : Colors can appear slightly differently online than in person. We make every effort to ensure product photos show colors as accurately as possible, but please be aware there can be slight variations.